Probably the most important skill that every companion parrot owner needs to develop is the ability to correctly interpret and understand the non-verbal ‘body language’ of their parrot. 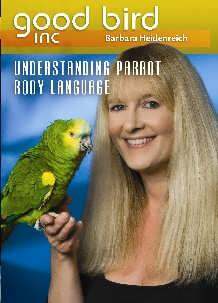 Understanding Parrot Body Language is a DVD from Barbara Heidenreich which provides the perfect learning platform for achieving a wonderful insight into how our parrots communicate with us. 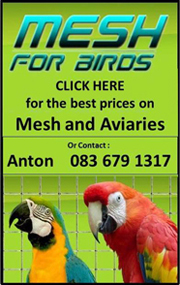 With clear explanations of what to look for when observing parrot body language, the DVD encompasses eight different contexts associated with body language that we commonly observe from our parrots. A dedicated section on species-specific body language adds further depth to the incredible range of non-verbal communication on display. Exploration of each of the body language contexts really sets the viewer up with a tremendous depth of knowledge, empowering them with an understanding of how to associate specific body language signals with correct interpretations of the messages and meanings that these signals may be conveying to the handler. 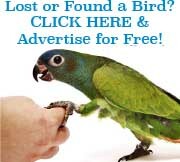 Successful interpretation of body language really does set you up for success in every context of both the training and general management of your parrot companions. 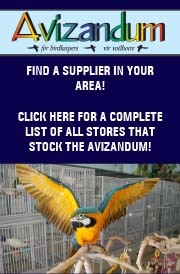 This DVD needs to find its way into the home of every companion parrot owner and should be considered essential viewing for anyone working with parrots including veterinarian staff, zoo animal handlers and behaviour consultants. Probably the most important skill that every companion parrot owner needs to develop is the ability to correctly interpret and understand the non-verbal ‘body language’ of their parrot. This new DVD from Barbara Heidenreich provides the perfect learning platform for achieving a wonderful insight into how our parrots communicate with us. An absolutely essential visual reference for all parrot enthusiasts and possibly the most invaluable guide to a deeper understanding of the non-verbal communication of our companion parrots. 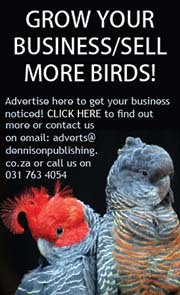 Be the first to review “Understanding Parrot Body Language (DVD)” Click here to cancel reply.